Mike Wattle’s “Student – Veteran – Identity" arrives on campus. Mike Wattle’s “Student – Veteran – Identity" arrives on campus. And petals have to be carefully removed. The Student Veterans Center at the University of Missouri-St. Louis is designed to help ease the transition from the military to campus and eventually to life in the greater community. Now, the center has a new mural to help show the way. Stretching 7 feet tall and 12 feet wide, Mike Wattle’s painting titled “Student – Veteran – Identity,” hangs just outside the center on the UMSL campus. It depicts a campus scene featuring characters in a variety of military uniforms, plus a couple of students jogging in athletic gear, with the Millennium Student Center in the background. Wattle, a Navy veteran, is set to graduate this spring with a degree in art education. He said the contest-winning concept is designed to illustrate the purpose of the veterans center — clearing the path between military service and campus life. Mike Wattle explains why the veterans are in military uniform. “I'm showing each character on the painting as active duty,” Wattle said last week as workmen helped hang the painting just outside Room 211 of Clark Hall. Jim Craig, who heads the school’s department of military and veterans studies, said getting out into the civilian world isn’t always easy, but it’s necessary, and UMSL tries to make the journey as smooth as possible. Craig said the idea for the mural came from the dean of the school of arts and sciences, who had commissioned wall paintings near his office. He asked whether the department would be willing to stage a contest for the best design, and Craig jumped at the chance. Originally, Craig said, it was going to be open only to student veterans, but then he decided to widen the field. Reviewing dozen proposals, which he said ranged “from very, very simple to abstract,” a panel quizzed the artists about their designs and chose Wattle’s. He said he expected submissions to be more military than what Wattle depicted, but he liked how the mural — which Wattle originally titled “Overlapping Identity” — juxtaposes students in civilian clothes and those in military garb. It shows visually the concept that Craig emphasizes, that the university is an intermediary between military service the world beyond. “The fact that Mike’s got this fantastic artistic talent to help us tell that story in a mural is going to be really helpful,” he said. “My goal is to show how veterans feel at school while trying to continue bettering themselves and blending in to society. The transition from active duty to civilian can often times be difficult. We veterans have our military memories with our brothers and sisters in arms. People who have not experienced what we have during our military careers will never understand fully the life that we have lived before we became students…. For Wattle, who is 32, life led him from Hillsboro High School to the Navy, where he served on a flight deck from 2001 to 2006, including a tour in the Persian Gulf. He enrolled at UMSL in 2008 and is currently living in Imperial and student teaching art at his high school alma mater. Like the veterans he painted in the mural, Wattle at first could feel out of place on campus. Last Tuesday, Wattle and a buddy brought the mural up from Jefferson County in a two-vehicle caravan, driving on an UMSL service road up to Clark Hall. His first task was picking small leaves and flowers off of the surface of the painting, which had ridden in the open air and was still wet. He estimated that he spent 35 hours on the project in his garage – time that wasn’t easy to come by between his teaching job, his classes and school schedules that didn’t always mesh. After helping to carry the three sections into the building, Wattle worked with two UMSL maintenance men – measuring, sawing, drilling, and hanging the sections one by one. First the left one went up, then the right one, finally the one in the center. The two end pieces were slid toward the center, and Wattle stepped back to take it all in. He pronounced himself satisfied. Unlike most murals that are painted directly on a wall, Wattle’s painting can be moved. He likes that arrangement just fine. A formal dedication ceremony of Wattle’s mural will be held at Clark Hall at 12:15 p.m., Tuesday, April 5. For the typical college freshman, heading for campus means a welcome chance to leave behind all those pesky rules that had to be followed at home and to enter a new environment of freedom and choice. For the military veteran trying to re-enter civilian society and signing up for college classes, that lack of structure may be far less attractive and more than a little intimidating. Ryan Barrett, who is studying for his doctorate at the University of Missouri-St. Louis, went through that tough transition when he left the Air Force after tours in Iraq and Afghanistan. Mention “ROTC” and “Washington University” to people of a certain age, and images immediately arise of Quonset huts blazing away in the dead of night, at the height of protests over the war in Vietnam. 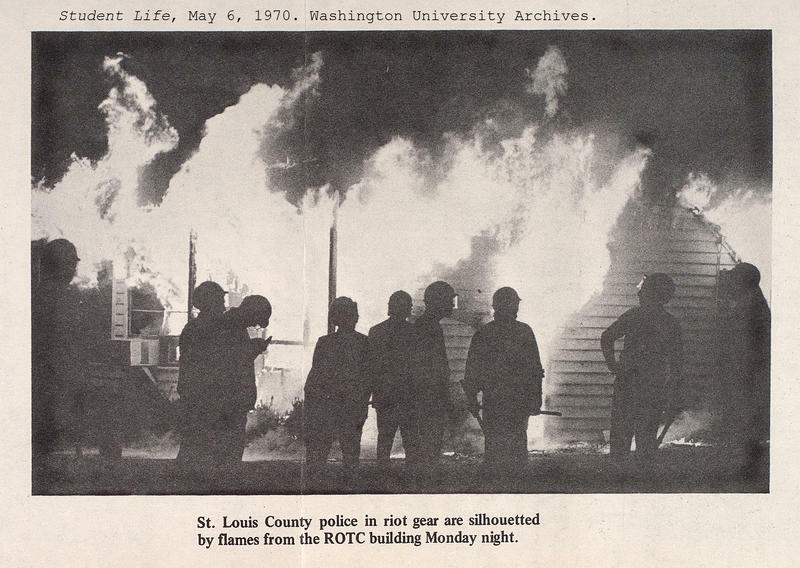 In the wake of the 1970 fires, the ability of Washington University students to earn academic credit for ROTC courses also went up in smoke. “When you go to a networking interview and a hiring manager asks you what you want to do, ‘What do you need done?’ is not a good answer,” Jim Craig explains. But “that’s the military mentality,” he says from experience. 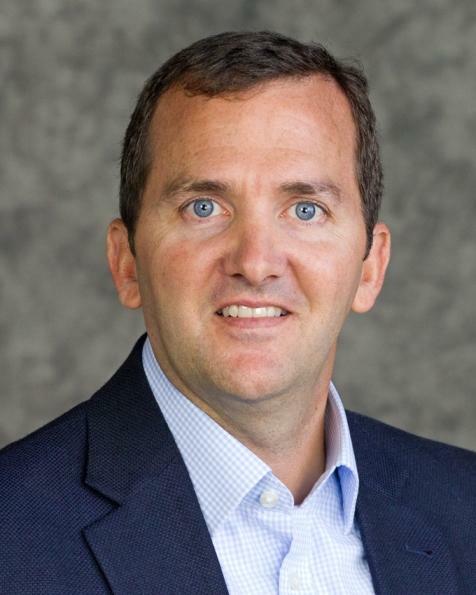 Craig is a retired Lieutenant Colonel in the U.S. Army and is currently an associate teaching professor and chair of the Department of Military and Veterans Studies at the University of Missouri-St. Louis.